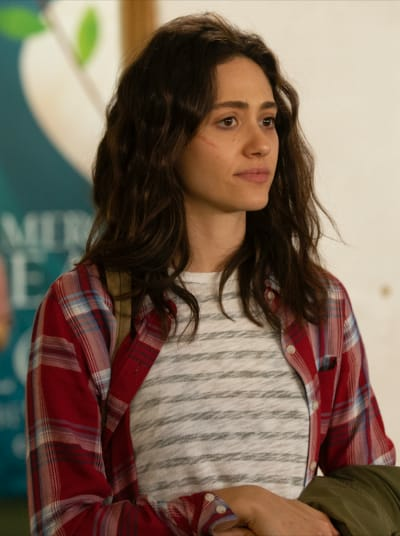 Just like that, Emmy Rossum's departure from Shameless has been set up. 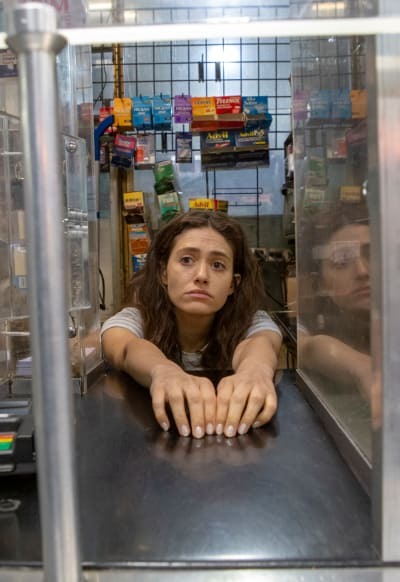 Shameless Season 9 Episode 13 was a transitional hour that set Fiona on a new path, and I loved every single minute of it. I'm thrilled that Fiona finally decided to take accountability for her actions, and wants to prove that she can still be happy despite losing everything. I did roll my eyes when she visited her lawyer, and it became possible that she could get hauled back to jail. However, she's showing that she's ready to move on with her life and leaving alcohol behind. Fiona: I don't really know what I'm supposed to do now. Lip: The only thing you can do, you get back up, you start over. Fiona: It's that easy, huh? Permalink: It's that easy, huh? The best part about this storyline is that Lip is essentially taking on the role of Fiona's sponsor. Who would have thought that he would ever be able to guide his sister? They've been so at odds with each other throughout the back half of Shameless Season 9 that it seemed like they would never get back to this place. Making amends is part of the game for someone recovering from an addiction, and Lip knows that all too well. Taking the job in the gas station was a different role for the woman who went from being a landlady and restaurant manager to serving customers in a sketchy part of the South Side. The chance meeting with her business partner changed everything. I felt for Fiona in that scene because she probably felt little in that scene. She wanted the ground to swallow her up because of how far she had fallen. I admire Fiona's resilience by admitting that it was her new job and not caring what the man thought of it. The revelation that the building deal was taking off and that he wanted to buy her share out took me by surprise. Fiona was worried about the prospect of never being in a comfortable position financially again. This money should help her pay her debts and move to somewhere new to start a new life. She's gotten through it all over the past nine seasons, so it makes sense that she would want to switch things up. Leaving her family behind will be a hard thing to do. They stick together through thick and thin, and I'm not sure what the Gallaghers would like without Fiona. In a sense, she's raised them to be the people they are today. They will miss her because she's always there to dole out the advice or bails them out, but we need to remember here that Fiona gave up her life when she raised them, so it's time for her to move on and start her individual journey. The only thing I'm mad about is that it's looking likely Ian will not be part of the exit story. 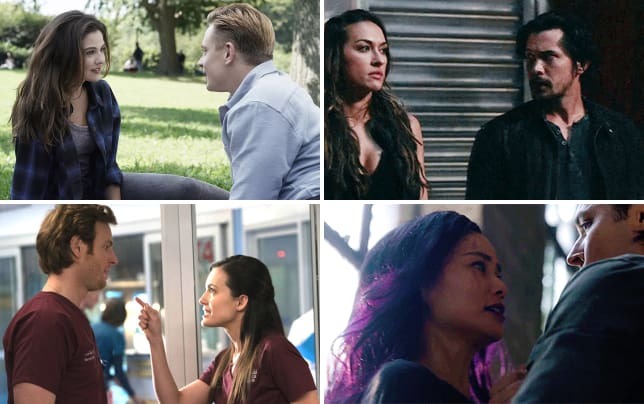 I would love for them to have one last scene together. It would make everything full circle. 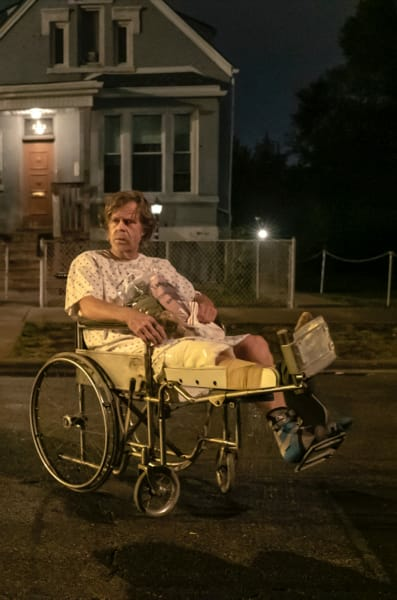 We know that Cameron Monaghan is returning for Shameless Season 10 as a series regular, so it's possible that a scene was filmed between him and Rossum. As for Lip, I'm as confused as him concerning the way Tammi is acting. Does she want to keep the baby or not? It was bizarre that Tammi's father showed up because surely he would have had to go through Brad to get Lip's home address. Brad would have fought in Lip's corner because he knows Lip is a changed man who wants to remain on the straight and narrow. Lip had no idea what Tammi was going to do, and she's giving him very little in the way of answers to it. One minute she's the nicest girl, he could ever meet, but the next she's shouting that she doesn't need a man from the rooftops. She's a strong young woman; there's no questioning that, but the way she's treating Lip is not okay. He's supported her from the get-go while she's battling her own emotions. I respect that she wanted to know the truth about whether she carried the BRCA gene, and if so, which version of it. In her mind, she's unsure whether she can plan a future with Lip and a child if she doesn't know whether she's going to die of cancer. It's a horrible situation and one that I hope she gets a good outcome. I was happy that Lip flipped out to let her know that he's passionate about this and that he doesn't deserve to be treated in an ill manner. 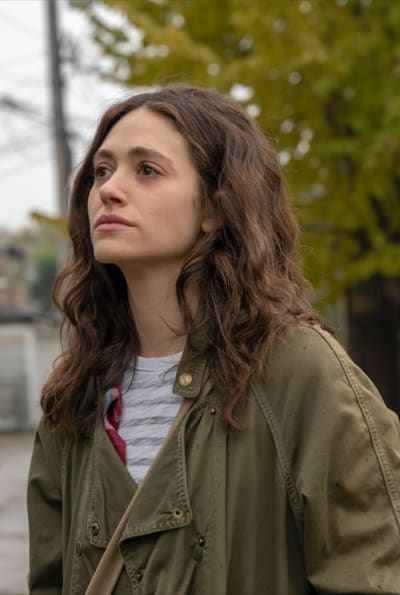 I'm hoping the couple gets good news on Shameless Season 9 Episode 14, but with another season of drama on the horizon, I'm not sure that will be the case. Frank being injured was no surprise. When you're sleeping in a building that's about to be demolished, that's kind of what happens. What I was most surprised about was that he was not thinking about who he could sue to make some money. Instead, all he cared about was getting to the hospital for some drugs. 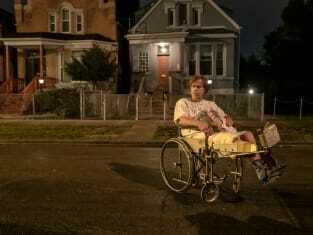 The moment he realized the severity of the injury, it was obvious that he wanted drugs and lots of them. I laughed at the sheer prospect of Fiona caring enough to go along with him in the ambulance. Their relationship has been fraught since the beginning of the series, but she Fiona didn't want her father to die. "Lost" was a solid hour of this Showtime hit. The wheels are in motion for what is sure to be a rock-solid season finale. Kev dressing as Jesus and carrying the cross has got to be one of the most comical scenes of the entire series. Debbie going after Kelly was a horrible move, but it was moving that Carl managed to put their differences aside to let her know she was loved. The robbery in the fast food joint could have gone very badly, but nobody messes with a Gallagher and gets away with it. Over to you, Shameless Fanatics! What are your thoughts on Fiona's looming exit? Are you still on board with the series? 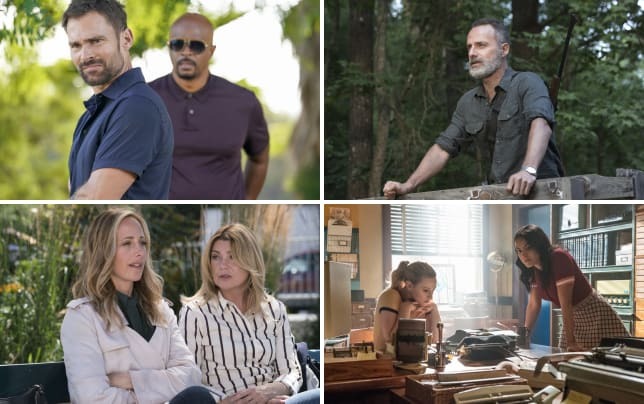 Get caught up with all the latest drama right now. Fiona: Hi, my name's Fiona, and I'm not sure if I'm an alcoholic.